Work for O'Reilly Online Learning? Learning about O'Reilly Online Learning? "Head First books are the best!" By far my favorite part of the O'Reilly app are the Head First books. If you are someone who is hands on and has to DO something in order to learn it, you should definitely check these books out. The are fun and interactive, almost like an activity book as opposed to a text book. Another great part about using O'Reilly is that it gives you a free 10-day trial (no credit card required) with full access, which gives you a chance to really take a look around the site and see if it's the type of thing you're looking for. The one thing I don't really like is how the menu is set up on the site. They don't have a section for "media type" in the pull-down menu (such as book, video, webinar, etc.) and most of the time that is the way I want to browse. They have some categories like this on the main homepage but it would be a lot better to have it on the main menu where it's always accessible. Also, it is a little on the pricier side compared to similar apps. The is a great tool for companies or individuals who are looking to learn about web-based apps and marketing skills. Since there is a free 10-day trial, there is no risk in at least checking it out and possible getting a few lessons for free even if you decide not to keep it. I strongly recommend trying out a Head First book, especially if you only have time to look at 1 or 2 items. They are great for people who learn "hands on" or by "doing". The business problems we are solving with O'Reilly is having the ability to learn new apps and skills at our finger tips, with easy to follow resources. Because there are a variety of different media types, many different users can all find a source that works best for them, depending on the way you learn - which is what makes it a great tool for a company. I like the video training and other learning materials that they have maintained. Those resources are hardly found anywhere and they have a bunch of e-books, videos, and other learning materials. Today, when we have customized features for startups, so I think they should come out some really startup-centric resources where can learn from forming a good startup to its earning stage. Talking about this software I think it has vast resources that can help you to develop on a personal level as well from the angle of your current business. The videos, ebooks that they have are really in-depth, well-researched and to the point. For this reason, I refer their e-books regularly and videos too. If you want to start I recommend to start with a trial initially, understand their features and then think of longer memberships. One more thing I would like to add here is that don't learn the things in hurry, ultimately you will waste your time but go step by step this way you will be able to keep track of your progress and you will also at later stage that this was something missing from your daily learnings. The best way to grow here is to start with individual plan because first hands on experience is very important. The O'Reilly Media has published so many e-books on technical and other areas too. I have cleared many concepts referring to these resources. I was able to expose myself to many different areas of data and IT technology with one subscription and it gave me an enormous amount of content to explore and discover. I couldn't be happier with the content either - it can be technical at times, but it is learning the hard things that have made a difference. Can be a bit pricey, but if you use it to the maximum potential then it is totally worth it. They are always adding new content, but sometimes new content in your subject can take some time. "Oreilly is awesome it has books, online videos, live sessions"
It has live sessions with the experts in different topics like devops, artificial intelligence, cloud technologies and many more technical session. It has online books , videos on different topics which is good reference whenever we want to go through it. It has huge collection of learning stuff. Time savings as sitting at home we can browse book, video and attend the live session. If u like to updated urself in the new trends , oreilly media is good place to learn through online book, video and online videos. Its helps in growing in this rapid changes in IT by providing online books, videos and live session. It keeps us updated with the latest technology trends by providing books, videos and live sessions. The assets we jointly produced were of high quality. Long turnaround times. Some frustration with employee turnover and speed of response. Make sure it is the right audience for your objectives. Also be sure to put strict timelines in place. Their team will not manage deadlines and you need to stay on top of them to ensure that assets are executed in a timely manner. Rely on them to improve things - such as webinar titles, abstracts, Meetup topics, etc. And really push on them to help drive audience acquisition for the programs you are running. O'Reilly requires a lot more hand-holding than the typical vendor, but the quality we have jointly produced with them is solid. Reaching outside of our own database. "Decent educational site. The 'USA Today' of training and learning sites." 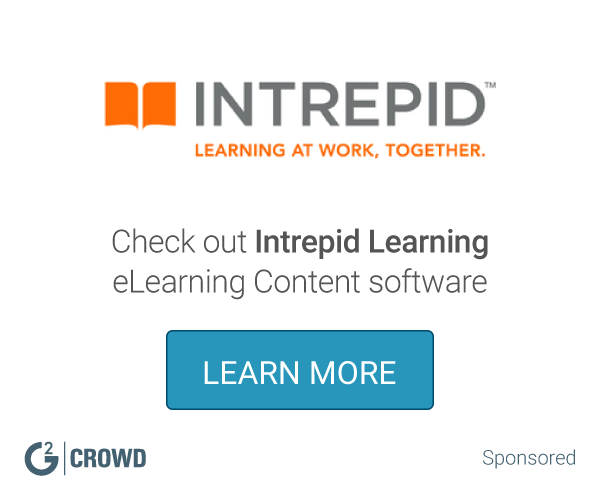 Easy place to get started on e-learning. But I don't view O'Reilly as a specialist, I see them more as a generalist. Good place to start one's learning of whatever skills learning you wish to enhance, but you'll need an expertise place elsewhere to pin down specifics. Conferences. They put on various conferences that have gradually gone downhill in past years visits. Getting started, this is a great place to begin. To reiterate however, I'd continue my learning elsewhere as I consider this to be a generalist learning site. 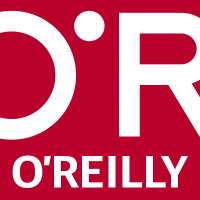 If you're wanting to get a foothold into something, O'Reilly excels at the initial first step. "Great for learning with teams"
All of the content is well created especially for teams that work in technology. The training courses were relevant in what we are doing as a company. The cost is one of the main concerns I had especially working for a startup. Working on personal and business skills especially working at a startup. Agile and product management is important to us as a team. "Average paid training platform at best"
In all seriousness, this is a pretty average training platform. There are proprietary web solutions that I've used with former companies and direct screenshare/webinar platforms which can easily take the place of this for free. It is a product without necessity. A luxury if you have a vast software budget. It's easy to use, but seriously, you can probably deploy this in-house. We utilized this to train sales staff at 14 media properties on the best practices of our business operations. A little monotonous, Can be enhanced with pictures. I like the accessibility and the library is rather large. I would like to see more soft skills content. The ipad app is also buddy sometimes. * We monitor all O'Reilly Online Learning reviews to prevent fraudulent reviews and keep review quality high. We do not post reviews by company employees or direct competitors. Validated reviews require the user to submit a screenshot of the product containing their user ID, in order to verify a user is an actual user of the product. Hi there! Are you looking to implement a solution like O'Reilly Online Learning?